Early morning after breakfast check out from hotel and transfer to Bomdila (8,200 ft.) – the headquarter of West Kameng District of Arunachal Pradesh and also known for its Buddhist monasteries. It has a lot of attractions for the visitors for its cool climate. En-route visit Tipi Orchidarium a place over 500 orchids, on display there are some rare species of orchid. Arunachal has largest range of orchids in the country then take a break to visit Nag Temple. On Arrival Check in to the hotel. Evening is free for leisure. Overnight stay at Bomdila. After breakfast check out from hotel and visit Bomdila Monastery. After that proceed to Tawang (11,500 ft.). – the land of Monpa Tribes & major centre of the Mahayana Buddhists. 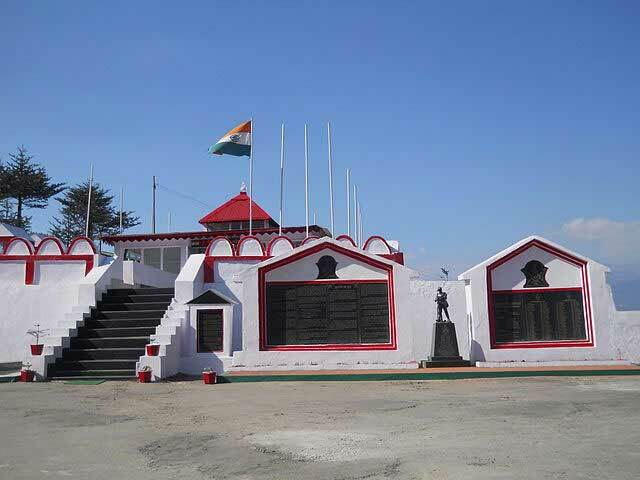 On the way to Tawang lies the world’s second highest pass – Sela Pass (13700ft) which run through a small ridge & along a lake called Sela Lake and visit Jaswant Garh, a memorial to the brave soldier who single handily tried to hold of approaching Chinese from the pass during the 1962 Indo-Chinese war. On arrival check in at your hotel. Overnight stay at Tawang. After breakfast visit Tawang Monstery, Pankang Teng Tso Lake (PT Tso Lake) & War Memorial. Evening free. Overnight stay at Tawang. After breakfast proceed to Dirang (4,910 ft.). On the way enjoy the beauty and majesty of Nuranng Water Fall. Dirang is famous for hot water springs where people take bath to cure skin ailments. 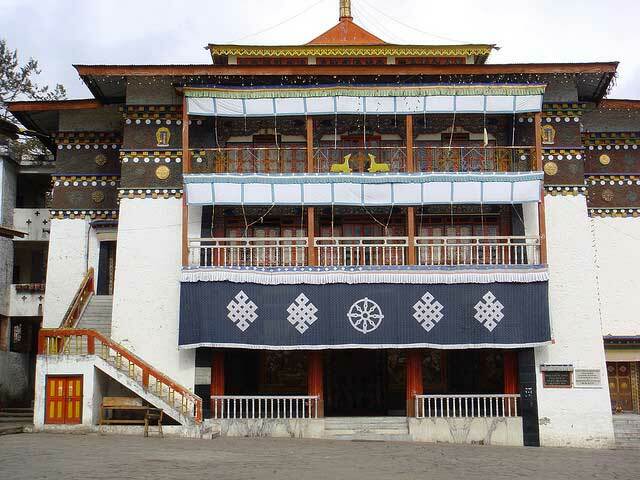 Places worth visiting here are the Apple & Kiwi Garden depends upon season, Dirang Monastery and Kalachakra Monastery. Overnight stay at Dirang. After Breakfast transfer to Nameri National Park – a tiger reserve and also famous for some Bird species. On arrival at Nameri check in to Eco camp. Afternoon you can explore nearby area of Nameri Eco Camp. Evening is free for leisure. Overnight stay at Nameri. After Breakfast transfer to Guwahati. On Arrival Check in at your hotel. In the evening visit ‘Kalakshetra’, a place where Assamese history and culture is presented through Light and sound show. Overnight stay at Guwahati. After breakfast visit Kamakhya Temple, etc. Transfer to Guwahati Airport / Railway Station for your onward journey. Hotel Category Details: Deluxe Package is Equivalent 2* Accommodation with Breakfast. In Arunachal Pradesh no star category hotels are available. We will introduce only one category (Deluxe) in our Arunachal package with best available hotel in that region. Inner Line Permit is required for entry to Arunachal Pradesh. Please send us 2 passport size photographs in original along with Xerox copy of Photo identity proof & Address proof of every person including child. We require at least 10 working days for processing the documents (ILP office remains closed on Saturday & Sunday). Note: We provide 02-06 pax we provide Scorpio / Xylo including child. In case the number of heads increases, than the guest will have to take another vehicle. Max. Kilometer allowance (blockage) will be 1300 Km for above mentioned itinerary only. 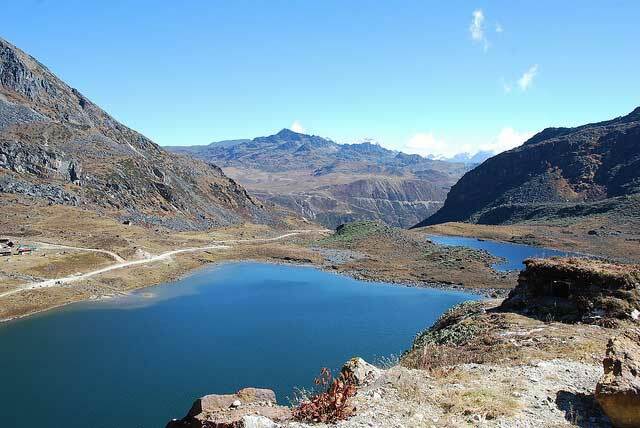 Sela Pass is amongst the most frequented tourist destination in the whole of Arunachal Pradesh. It owns the credit of being the only high-altitude mountain pass in the world that is motorable. This is the only way to gain access to Tawang by road. The views from Sela Pass are spectacular. If you venture to this place in winter, you will have before you a stunning view of snow-clad Sela Pass. 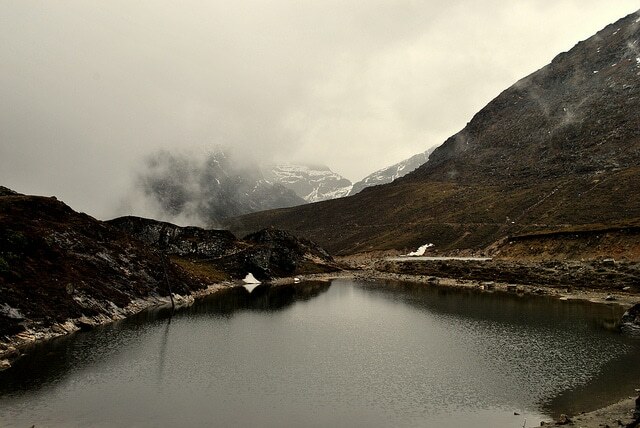 You will find Paradise Lake on your way to Sela Pass. The lake, for the most part would be frozen during winter. The sunrays kissing the mountaintop give you a different version of the mountain. Summer or winter, you are sure to love the experience. Sela Pass is rightly called the ‘Heaven on earth’. Situated 45 kms away from Tawang Township, Taktsang Gompa is believed to have been honored by Guru Padmasambhava’s visit during the 8th century. Your eyes cannot feed enough on the spectacular views from here. The thick coniferous forest and lofty mountains surrounding the monastery, which is located on the ridge of a hill, render magic to the air. You are sure to be overwhelmed by the serene atmosphere that makes you feel one with nature. Tawang not only makes you feel one with nature but it stimulates the challenger in you. Gorichen Peak is the right place for the adventurer in you. Not only is Gorichen Peak the highest in Arunachal Pradesh with 22500 feet height but it also poses a high challenge to trekkers. The gorgeous Gorichen Peak offers magnificent views. Whether you scale the heights or not, you are sure to enjoy the matchless beauty of the majestic peak. 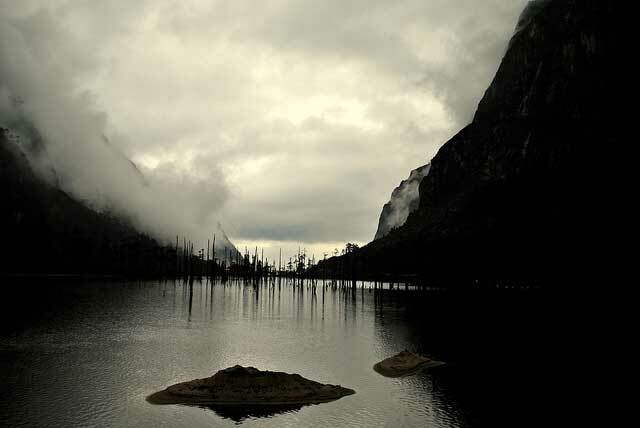 Shonga-tser Lake is famously called Madhuri Lake. An earthquake in this region resulted in the formation of Shonga-tser Lake in 1971, which until then was grassland that served the cattle of the locals here. The lake with picturesque snow-capped mountains surrounding it and the valley offer spectacular views. You are encouraged to take a casual stroll along the pathways around Shonga-tser Lake. The lake is an absolute delight for the photographers. Tawang has to offer every form of nature at its best to your eyes. Nuranang Waterfalls is one such wonderful attraction that Tawang offers. This spectacular 100 meter-high waterfalls is located 40 kms away from Tawang and it is also called as Jang Falls since it is close to Jang, a town between Tawang and Bomdila. Originating from northern slopes of the famous Sela Pass, Nuranang River forms the waterfalls and then plunges into Tawang river. The Hydel power station nearby is open for visits. Pankang Teng Tso Lake, also called as Ptso Lake is situated 17 km from Tawang. The lake remains frozen during winter and area around the lake supports skiing. To enjoy the calm waters moving about slowly in an atmosphere where you could not miss even the smallest whispers of nature, you need to visit this place in summer. Radiant rhododendron flowers and birds in different hues could not be done justice even by the best of photographers. Bumla Pass is situated 37 kms away from Tawang. The Indo-China border that lies at 16000 ft altitude is the right place for you to assess your fitness level if you love adventure. As you go higher, you will be short of oxygen and your vehicle may not be your best companion to take you beyond a certain point. You might have come prepared for a trekking but may not be for the lack of oxygen and the chillness of the snow that penetrates deep inside. Since the road to Bumla may not be in the best of conditions throughout the year, the ideal time to visit the place to enjoy its limitless beauty would be from May to October. Bumla Pass was the passage used by Dalai Lama to escape from Tibet and to enter India. Bap Teng Kang Waterfall is situated 82 km away from Tawang. 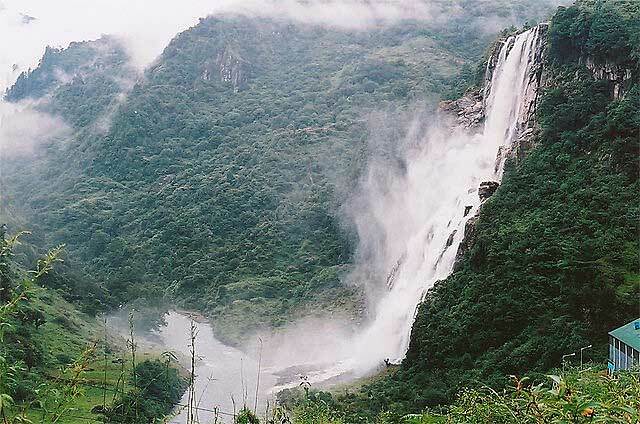 This 100 ft high waterfall is one of the most visited tourist spot in Tawang. Set amidst lush greenery, the waterfall offers spectacular sight to nature lovers. Popularly referred to as BTK waterfall, Bap Teng Kang’s serenity elevates your spirits. The crystal clear water encourages you to indulge in swimming. Note: We provide Scorpio / Xylo for 02-06 Pax and Tempo Traveller for 08 Pax (No. of Pax mentioned includes child also). In case the number of heads increases, then the guest will have to take another vehicle for which supplement charges would be applicable. Maximum Kilometer allowance / blockage will be 1500 Km for above mentioned itinerary only. SPECIAL INSTRUCTION FOR INNER LINE PERMIT Inner Line Permit (ILP) is required for entry to Arunachal Pradesh. Please send us 2 passport size photographs for each. Kindly scan and send us Photo identity proof & Address proof of each person including child. We require at least 10 official working days for processing the documents (ILP office remains closed on Saturday-Sunday).